The Freight brims with amazing music and heaps of aloha tonight when we present the Hawaiian Slack Key Guitar Festival, spotlighting ki ho'alu, the guitar style that Hawaiian cowboys developed in the 19th century when they loosened their guitar strings (or "slacked" them) to create a deep, resonant sound. 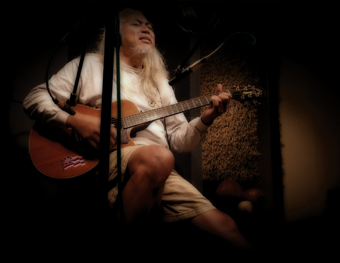 The show's producer, Milton Lau, is the genius who organized the first slack key guitar festivals, starting in Honolulu in 1982, as a way to honor the late, legendary guitarist Gabby Pahinui. Tonight's all-star lineup includes Hawaiian music legends Ledward Kaapana and Dennis Kamakahi, award-winning slack key guitarists Kawika and Palolo Steve, guitarists and vocalists Brother Noland and LT Smooth, and special guest Patrick Landeza. One of Hawaii's most beloved traditional artists for over four decades, slack key guitar master Led Kaapana is also accomplished on ukulele, autoharp, bass, and steel guitar, as well as being an extraordinary baritone and falsetto singer. Perhaps most importantly, the man known affectionately as lima wela ("hot hand") blends his effortless virtuosity with an infectious joy in performing, a generous spirit, and a rascally sense of humor. 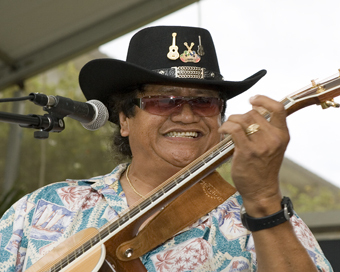 The Reverend Dennis Kamakahi is one of Hawai'i's most prolific and popular songwriters. 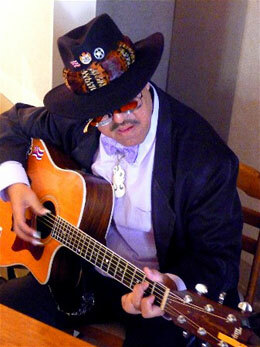 He is also a warm, evocative singer and a gifted guitarist firmly committed to the ki ho'alu tradition. A multiple Grammy winner and a long-time member of the legendary music group, Sons of Hawai'i, Dennis has seen many of his vivid, romantic compositions, like "Pua Hone" and "Wahine ‘Ilikea," become Hawaiian classics. Brother Noland has been an innovative force in Hawaii's music scene for the past several decades. A popular proponent of “Jawaiian” music—Hawaiian-style reggae—he recently turned toward a more traditional sound. 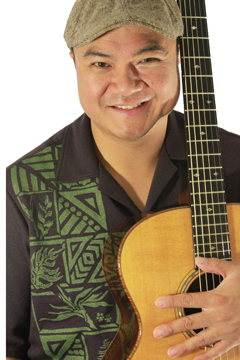 Like so many slack key masters before him, Kawika (David Kaiupileokalani Kawika) grew up in a musical household and started playing guitar at a very young age. He was the 2007 Na Hoku Hanohano Slack Key Artist of the year. Leon T spotlights his velvety vocals and lightning-fast guitar licks, as the Kailua resident demonstrates a versatility that incorporates elements of jazz, R&B, and gospel. Born and raised on O‘ahu, Palolo Steve (AKA Stephen Inglis) is a fantastic slack key artist and composer whose "Redwood Slack Key" was featured on the Grammy nominated album, Hawaiian Slack Key Kings Volume 2 in 2009. Berkeley slack key guru and Hawaiian music impresario Patrick is a leading exponent of ki ho'alu. The student of slack key masters like the late Ray Kane and Sonny Chillingworth, Patrick is a top slack key performer, as well as someone with the unique ability to build a melodic bridge between California and Hawai'i. As Milton says, "It’s been my life long mission to perpetuate Hawaii’s indigenous guitar art form and I’m quite passionate about it. Our music is universal and I know that, after doing the festival for 29 years, people from around the world love our music."